Whether you take a class, work with a trainer, or on your own, you should warm up before you begin the actual workout. A warm-up prepares your body for exercise in order to prevent injury and potentially decrease muscle soreness. Traditionally, you may use an elliptical, treadmill or bike for five to 10 minutes to get your body ready. However, the trend is moving toward a dynamic warm up — and it will prepare you more fully for your chosen activity. 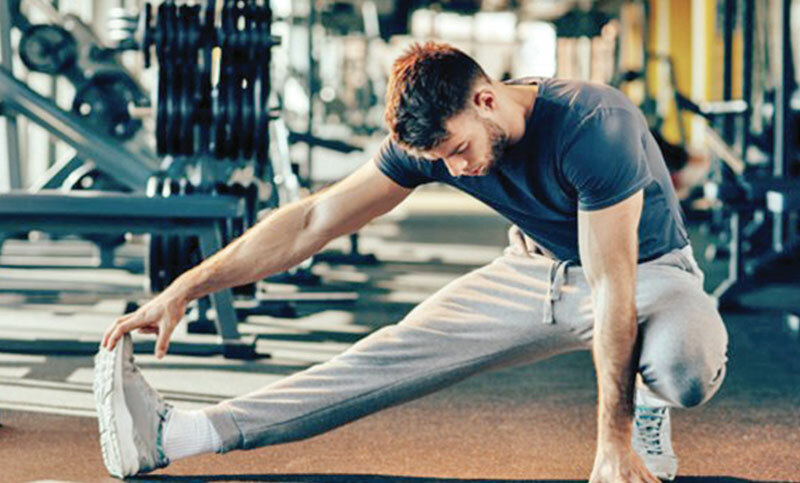 A dynamic warm-up uses movements that you will perform during the work portion of an exercise routine to elevate body temperature for exercise. So, the bike is a great way to dynamically warm up your legs for a cycling workout. The treadmill will warm your body for a walk, jog or running workout. Athletes have been using dynamic warm-ups longer than the average person. Bodybuilders do one or two light sets of an exercise before they load the weight for their workout. Baseball players perform various lunges, twists, arm circles, etc. that mimic motions on the field to get their bodies ready for a game. A proper dynamic warm-up targets movements and muscles that are going to be used during a competition, or training. It is specific to your chosen activity. Functional exercise has been popular for over 10 years. It describes exercises and movements that can transfer to daily life, or sport, depending on what your goals and needs. A dynamic warm-up is also functional since you are performing movements that will mimic your routine or sport. There is a transfer of benefit to on-field, or in the gym, activity. For the average exerciser, a dynamic warm-up will change based on what you are planning for your workout that day. A lower body dynamic warm-up will not be the same as your upper body warm-up, or even a core workout. If you are a swimmer, your warm-up should differ from a runner. So, don’t think if you have one dynamic warm-up routine it will cover all your bases. Change it up to suit your workout, and keep your body functioning properly.